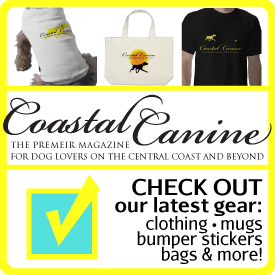 Coastal Canine is an upbeat, entertaining, and informational magazine for dog lovers who enjoy hiking, traveling, and dining with their canine companions. 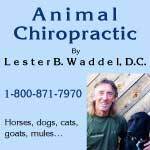 We strive to provide wellness and training information as well as other resources to assist dog lovers in providing the best care for their four legged friends. Letter to the Editor - We love to hear from our readers. Drop us a line with your comments and suggestions, and if Tune doesn't eat it, we'll respond! 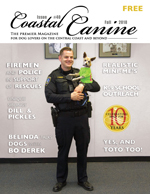 SUBSCRIBE - Don't miss an issue of Coastal Canine. Sign up to have your copy delivered to your home. Next issue: Canine Valentine Holding a rose, next to a heart with their name, or any creative way you find to celebrate your love for your dog. Send us a Valentine-themed photo. Deadline is Janury 7, 2019. Email photo to Editor. 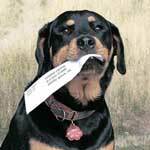 Join our Mailing List and keep up-to-date on local dog happenings! The Nite Dawg LED collar lite, collar cover, and leash will keep your pet safe. 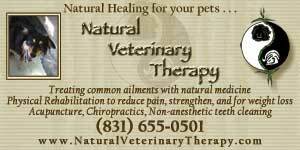 Find out more about Nite Dawg and other products that impressed us. 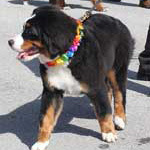 Check out our calendar of events for upcoming canine-focused events held throughout the year. 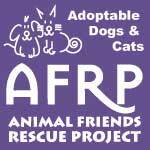 Contact us if you know of an event that our readers should know about too! 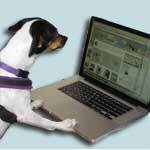 Like us on Facebook to stay connected to Coastal Canine magazine and all the latest canine news and reviews. WET DOG shares expressive portraits of our canine friends at bath time. Click here for more about this book and for our full list of Books Worth Barking About.